PRAMODZ COMPUTERS aim is to provide quality education and production in the field of computer Graphics. PRAMODZ COMPUTERS vision is to nurture fresh talent to meet the international production standard. We deliver unique diploma and certificate programs, which is designed by discussion with Industry employers and working professionals. Our instructors are highly successful and currently activeProfessionals in the 3d design and Animation industry. We provide courses in 3d max, AutoCAD, Visual effects and Graphics. 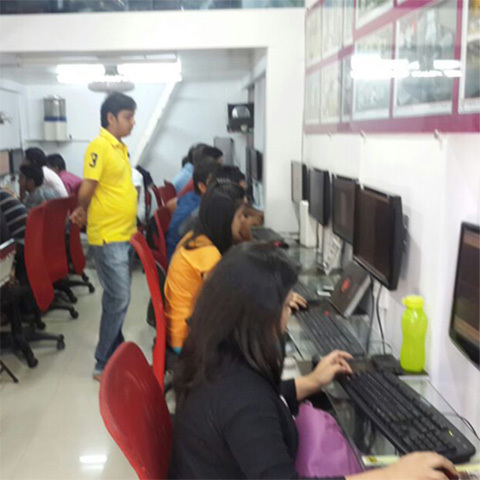 PRAMODZ COMPUTERS provides an atmosphere in which students are confident to work hard to achieve Their full potential. PRAMODZ COMPUTERS has highly qualified mentors who are working specialized in their fields. The growth of good work habits is important in preparing for a successful career. So we work directly with students and help them to expand their personal goals, creatively, technically and commercially. To grammatically sketch in brief, PRAMODZ COMPUTERS is a community that moves beyond mere Software knowledge. We believe in fostering creativity, individuality and leadership while striving for Excellence in teaching and learning. “Education for Life” is our mission and we believe that we assist students to progressively accept more Responsibility for self-discipline, to develop self-respect, to contribute to the community, to develop a love for learning and to strive for excellence. A Company without a management team is incomplete. Our management team consists of qualified Employees who suit the company’s needs and also manage the overall operations and directions of business to ensure its present and future success. The team includes group of individuals who work effectively and are committed, in achieving the goals of the company. We help you to develop your interpersonal skills. Every member of the management team knows their responsibilities and work accordingly. They co-ordinate with each other in order to understand and achieve perfection in every work they are given. Together as team we are looking forward to spread our business at wider scope and also to endeavor the Objectives of the company.